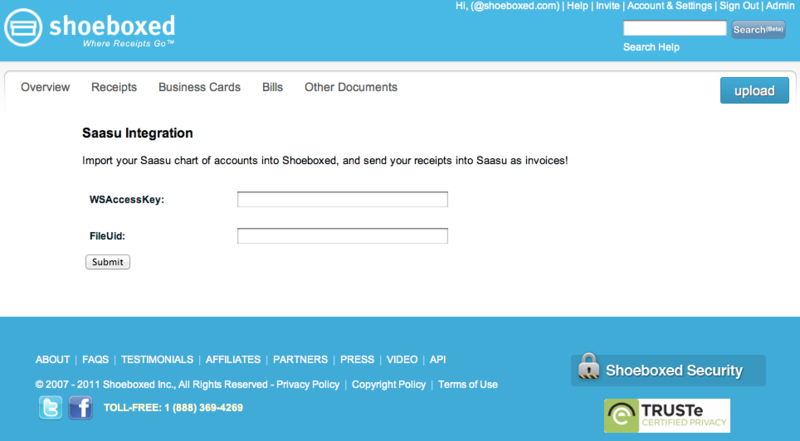 Shoeboxed’s new direct integration with Saasu allows you to effortlessly import Saasu Chart of Accounts into Shoeboxed and export receipts to Saasu as invoices! Simply follow these easy step-by-step instructions to get started. 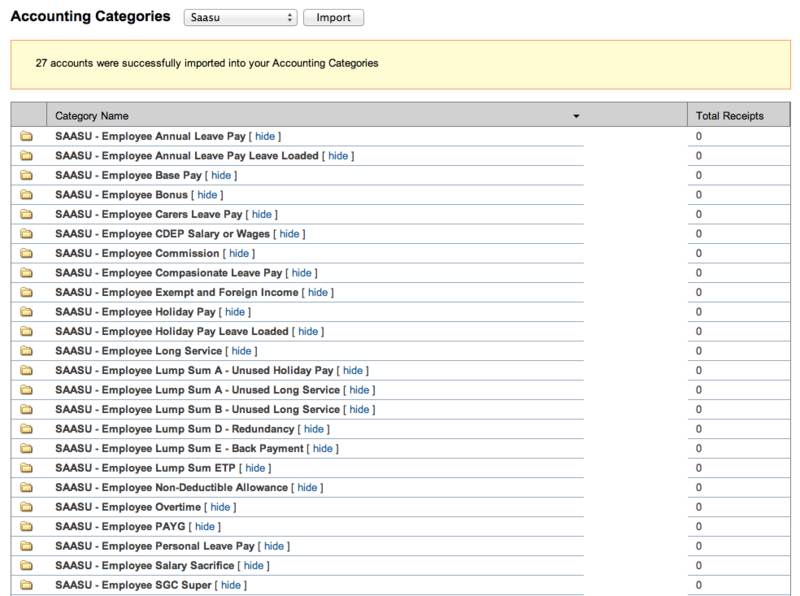 To import your Chart of Accounts, click the drop down menu, select “Saasu” and then click the “Import” button. You will then be prompted to authenticate your Saasu account. After entering your WSAcessKey and FileUid, click submit. 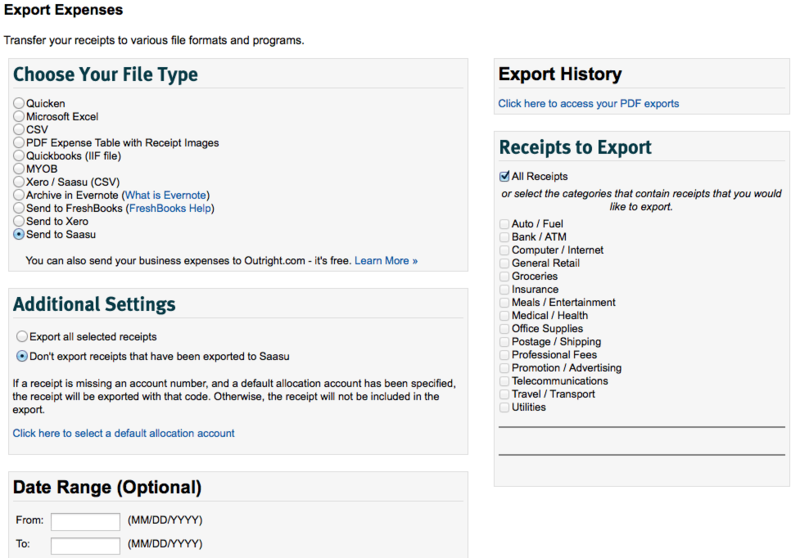 You can view the accounts imported from Saasu on the My Categories page under “Accounting Categories”. You can also assign Saasu account codes to receipts by putting the receipts into the corresponding category. 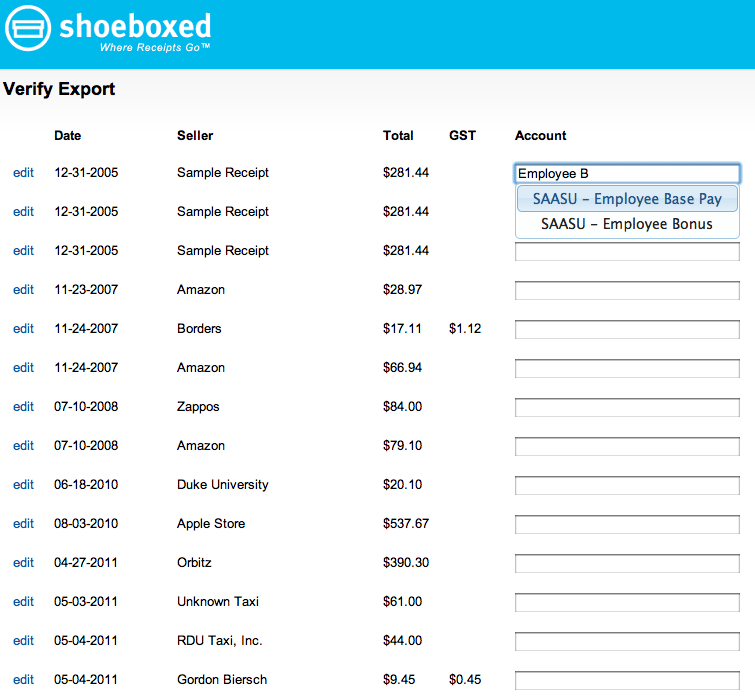 To export your Shoeboxed receipts into your Saasu account as invoices simply go to the export page, select “Send to Saasu,” and click export. If you wish to only export receipts that have not yet been exported to Saasu in a previous export, ensure that “Don’t export receipts that have been exported to Saasu” is selected. 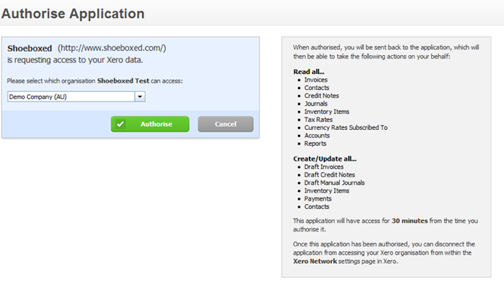 After you click export we’ve provided a new “Verification” page where you have the option to quickly apply or edit account codes to receipts. Note: In your Account Settings you can set a default account code for any receipts that are uncoded at the time of export. If you have any feedback or questions about our new Saasu integration, please reach us 24/7 at help@team.shoeboxed.com or give us a shout on Twitter @Shoeboxed. Does this attach a copy of the receipt image to the Sassu invoice as an attachment? If not, that would be a very useful addition.